Can Themba’s short story “The Suit” takes place in Sophiatown, a small suburb of Johannesburg, in the mid 1950s. The township was a tangle of contradictions during the middle of the twentieth century. It was one of the only places in all of South Africa where black people could legally own property. Although the location wasn’t great (it was near a sewer) and the township was small, the prospect of some freedom in a environment of oppressive apartheid laws was enticing for South Africans of color—including people with mixed and Asian heritage. 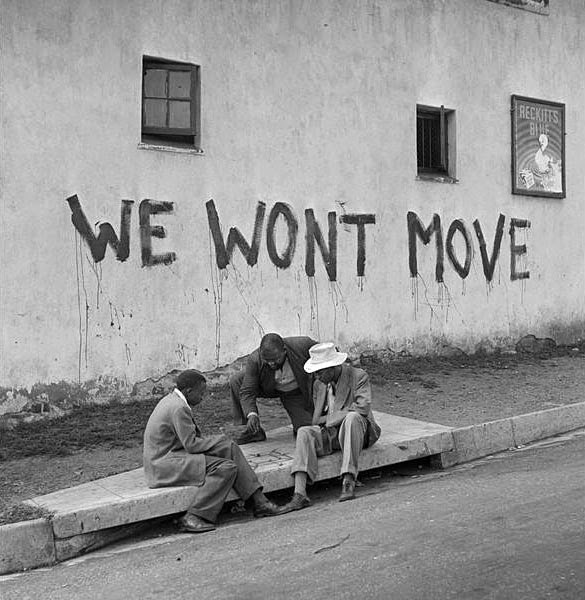 This led to overcrowding and slum conditions, which led to violence and poverty, but Sophiatown’s unique diversity cultivated a vibrant community of art and culture; some of the best South African musicians and writers of the 1950s lived in Sophiatown. Can Themba’s “The Suit” was first published in the inaugural issue of a South African journal called the Classic in 1963. In 1966, while Themba was in exile in Swaziland, the South African apartheid government declared him a statutory communist and banned his work. It remained unavailable in his homeland until 1982. 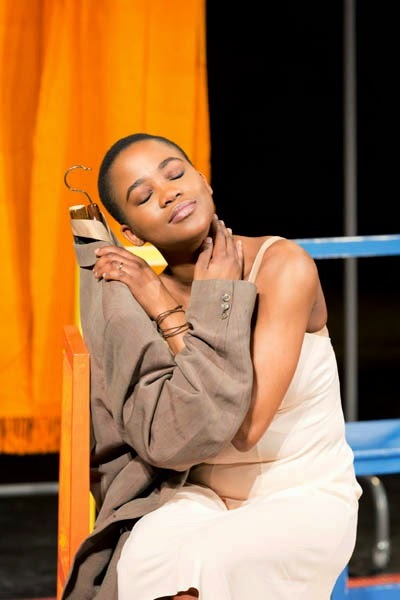 In 1994, Mothobi Mutloatse and Barney Simon adapted “The Suit” into a play, which premiered at Johannesburg’s Market Theatre.